I am a fan of links, so no surprise that they dominate my choices. 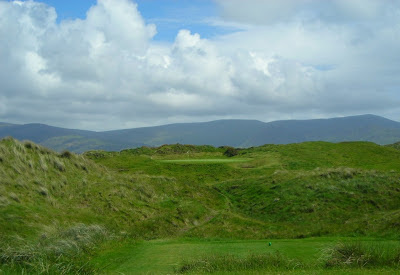 To make things interesting I have picked one hole from each course to make up the perfect round of golf. In other words, the courses are not in any hierarchy, but in the order you'd play the holes. Ranking them in order is too difficult: the moment I put Royal County Down at the top, I have Carne and Adare and Ballybunion and Enniscrone knocking on the window with that 'excuse me, but what do you think you are doing!' expression. So, put simply, these are the 18 courses I would be honoured and thrilled to play for the rest of my life... my wife permitting. I am sure there will be golfers staring in horror at that list: where are Portmarnock, Lahinch, Royal Portrush, Ballyliffin, Portstewart and The European Club? they'll ask. 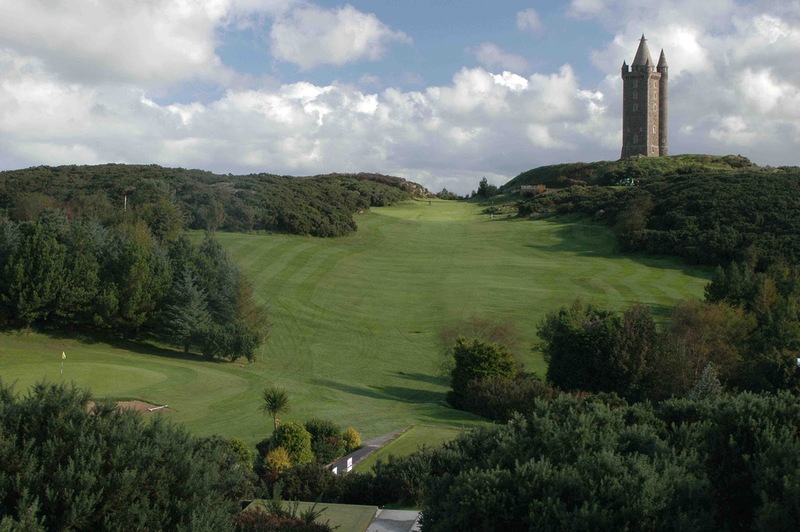 What about Mount Juliet, Lough Erne, Killeen Castle, Killarney? There are lots of courses that could make the list, and I regret having to leave some of them out. 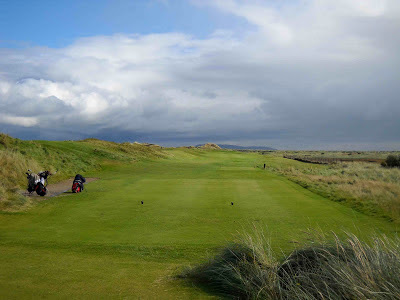 Indeed, The European Club is one of my top five golf experiences, but it's too tough a course to play regularly - I lost 13 golf balls in one windy round and that leaves a scar. Mount Juliet and Killeen Castle are magnificent experiences, but I'm not a huge fan of Nicklaus's designs. No, these 18 are the Best Irish Golf Courses in my book and I would play any one of them on any day of the week. I'd be happy to hear your thoughts! Your far too diplomatic......If you were to play but ONE course for the rest of your life, in Ireland only, where would that be? "ONE course for the rest of your life"? That's a tough question... however, i would put Carne at the top of the links pile and Druid's Glen on top of the parkland. My question to you, though, is how would you stop me playing the other courses I love! Great to see Strandhill in there ..." the jewel in the West" !